Reminder: Minnesota FoodShare March Campaign is on! It’s March and that means it’s the Minnesota FoodShare March Campaign! This is so important to VCS—it’s one of our biggest months for food and fund drives. We rely on the food and funds collected to get us through the next few months of operations into the summer. We also receive additional matched funds from Minnesota FoodShare based on how much we raise. The more we raise, the more we receive. 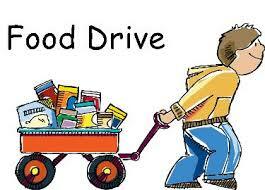 Host a food drive: at your workplace, school, congregation, or community organization. Our goal is to have 25 food drives this month! We’ve created lots of resources to help you plan a successful food drive. View our toolkit. Host a fund drive: Raising funds for VCS is a great team-building feel-good activity. VCS can purchase up to ten times the amount of food with your dollars. Contact Tina for more info. Donate now: Please consider making a gift to VCS this month! Every dollar makes a difference, and VCS uses your dollars well! You can register for our fund raising dinner theater by clicking here. This event on Saturday night will feature an exclusive dinner, entertainment by local magician with raffles and a silent auction. Please join the fun and support the Fruit of the Vine Food Shelf! Bremer Bank is our Premier Sponsor of this event. For you golfers, Fostar Communications is the Title Sponsor for this year’s July 9th Summer Swing Charity Golf Tournament. You can register for the tournament by clicking here. Registering in March will assist us in our March campaign and assure you a place in the tournament. Our neighbors in need work so hard to provide good lives for their children and families, and we are proud to provide help where it’s needed. Last year, VCS helped 15,186 people through food services, homelessness prevention, and employment assistance.